NEW PRICE! This beautiful villa has two levels of living space. 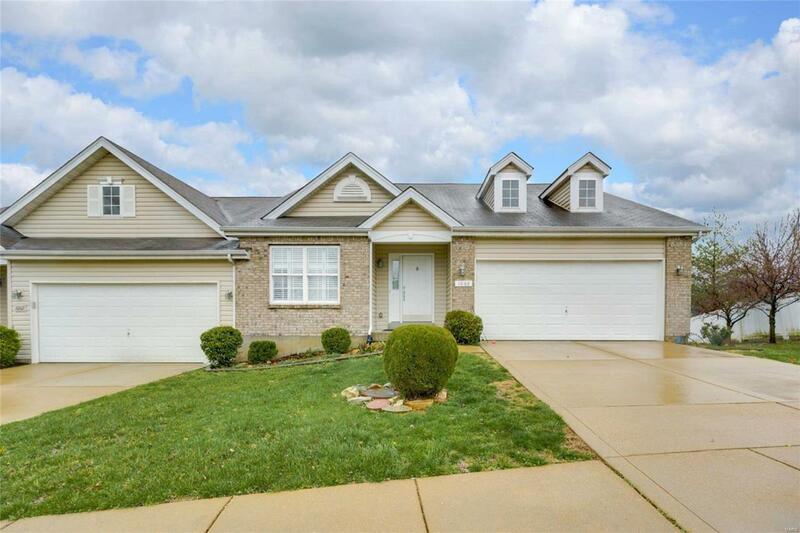 Some special features are the granite countertops, custom cabinetry, surround sound, bay window, plantation shutters, all stainless steel appliances, 2 walk in closets, 6 panel doors and gleaming hardwood floors in kitchen, breakfast room and foyer. The spacious master bedroom suite offers a separate shower, jacuzzi tub and walk in closet. Want additional living space or comfortable guest quarters? The finished lower level has it all-a third bedroom with W/I closet, 3rd full bath and large family room that walks out to an extended covered patio. Newer furnace, AC and W/H. Great storage areas. Garage is finished with a window. The deck and patio are oversized and deck has just been stained. Interior has fresh paint. This villas is handicapped accessible with a ramp from the garage and stair lift for the lower level. Quiet neighborhood/great neighbors and location. This villa is move in ready!